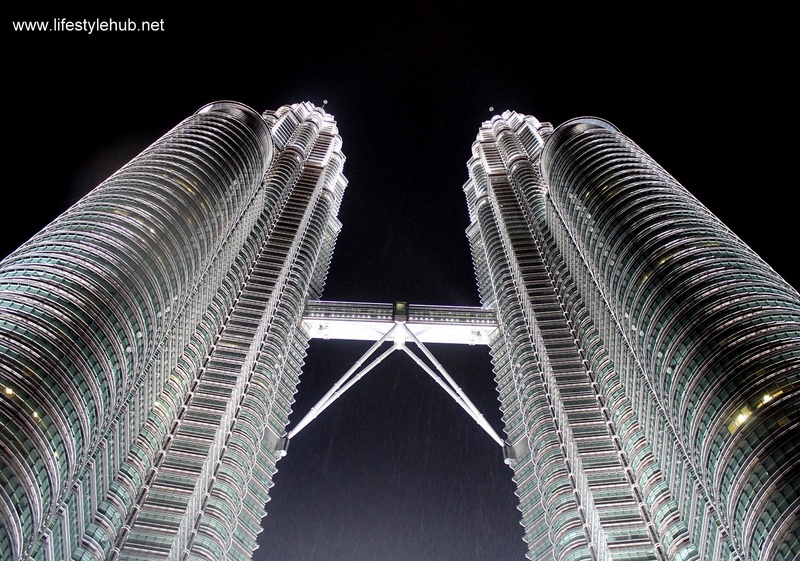 The Lifestyle Hub: It's raining in Kuala Lumpur! It's raining in Kuala Lumpur! 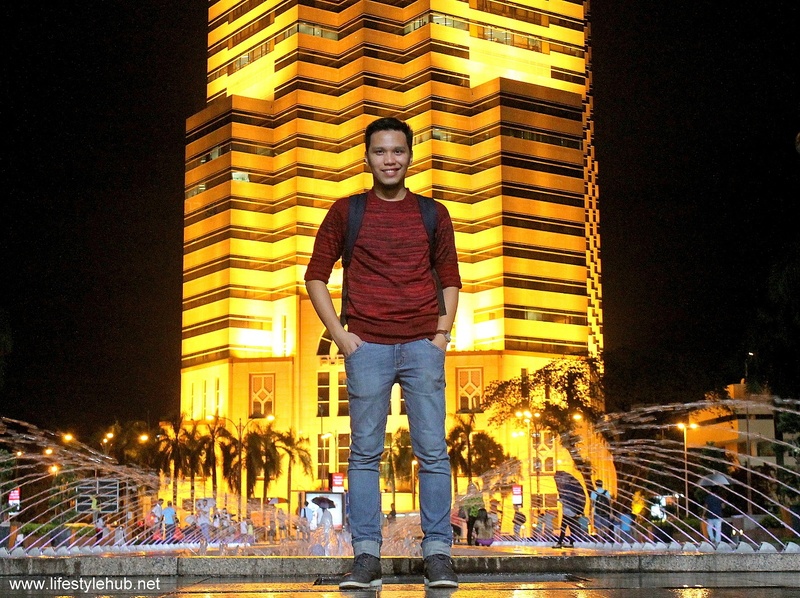 A trip to Kuala Lumpur is never complete without a photo with its famous Petronas Twin Towers. It's like visiting New York and missing Times Square or going to work in the morning and forgetting to brush your teeth. Alright, it was quite an extreme analogy. What I am saying is, if there is something iconic in the Malaysian capital, it is the Petronas Towers. Easy trivia but these structures which are measured at 452 meters tall were once the title holders as the world's tallest buildings. 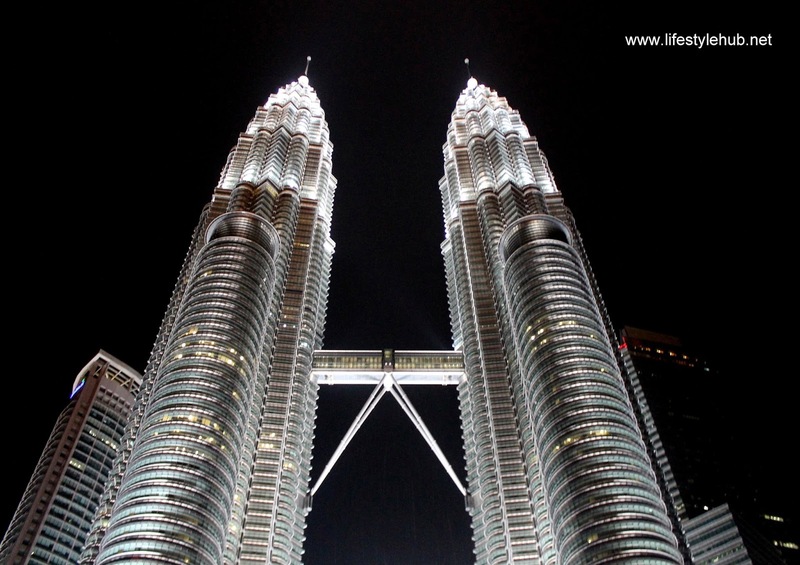 For six years, the Petronas Towers are the tallest structures on Earth from 1998 to 2004. The Malaysians may have hated the Taiwanese for stealing that title in December 2004 when they erected the Taipie 101. Now, these landmarks sit as the 9th tallest in the world after Dubai's Burj Khalifa almost doubled their record height, standing at 828 meters and is currently the tallest since 2010. Loving how droplets of rain dramatically distort the images but I was hoping for not too much water. I don't have the most advance waterproof camera. LOL! We covered ourselves with an umbrella because there was a heavy downpour while we took this photo. Imagine me, counting 1 to 3 then stepping out of the umbrella to take two shots then move quickly back to cover after. Effort! With tall structures comes the huge challenge of taking an excellent shot. You can ask professional photographers but if you don't have a good equipment, the nearer you are, the more difficult it is to get a photo of the entire building. When we thought this is the only challenge, we forgot some notes from our traveler- friends. It is often wet in KL at around 5 in the afternoon. 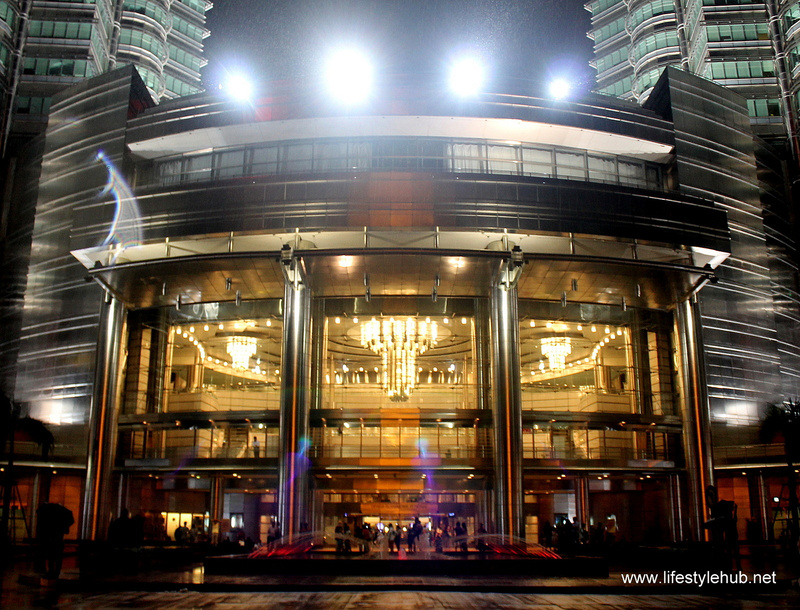 We miscalculated the time and arrived in KLCC, KL's high-end district where the towers are located, at around 7PM. The rain just refused to stop so we decided to just blend in and do what we can to get decent shots. I hope we were successful. 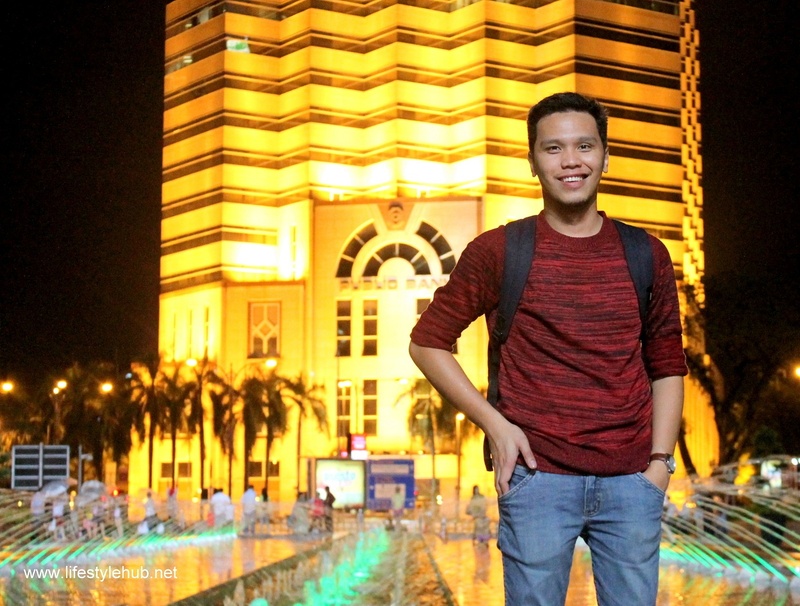 Arriving in the upscale mall at the lower floors of the Petronas, the Suria KLCC, we were left with a limited time to explore the entire area. But I can provide you some tips. First, it's better to ride the train to KLCC than taking the bus or taxi. 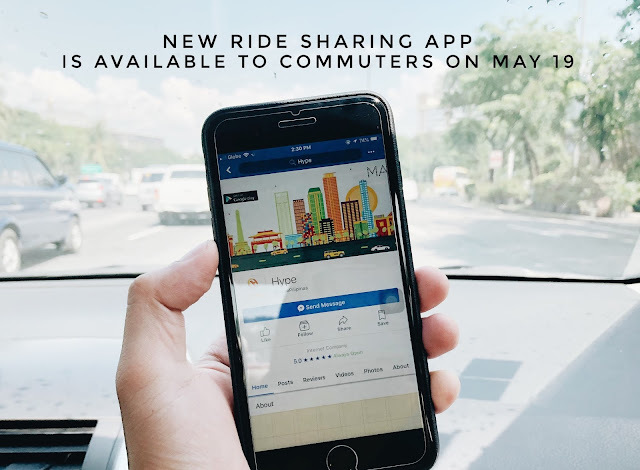 Traffic in the area is bad and cab drivers have the tendency to overprice. Second, dining at the mall is not super expensive. Remember how much you spend when you stay in Greenbelt for a day to watch movies or eat with friends? It's pretty the same financial requirement in KLCC. The world's once tallest buildings deserve a grand walkway. 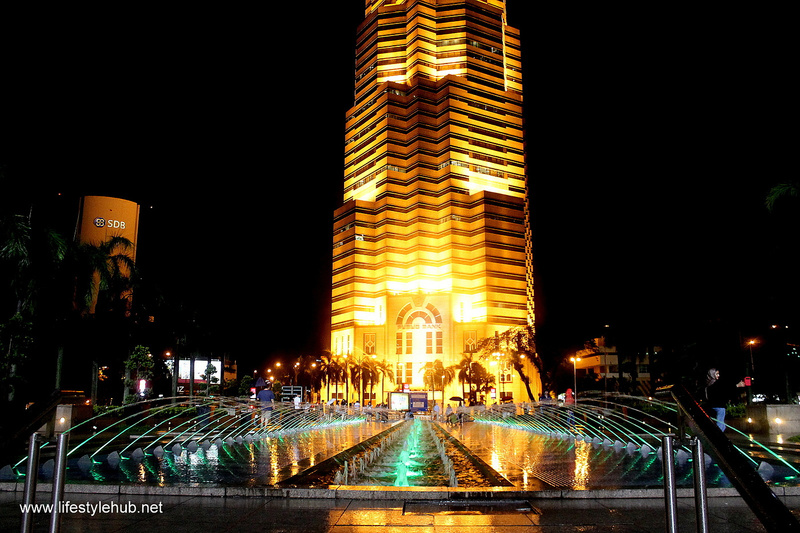 Across it is the golden Public Bank of Malaysia, one of their oldest banks. Third, be patient. The area outside the Petronas where you can take photos, or collectively the KLCC Park, is often swamped with tourists. You will never have your own space. And just like you, they are also determined to get the best shot so there might be waiting time. 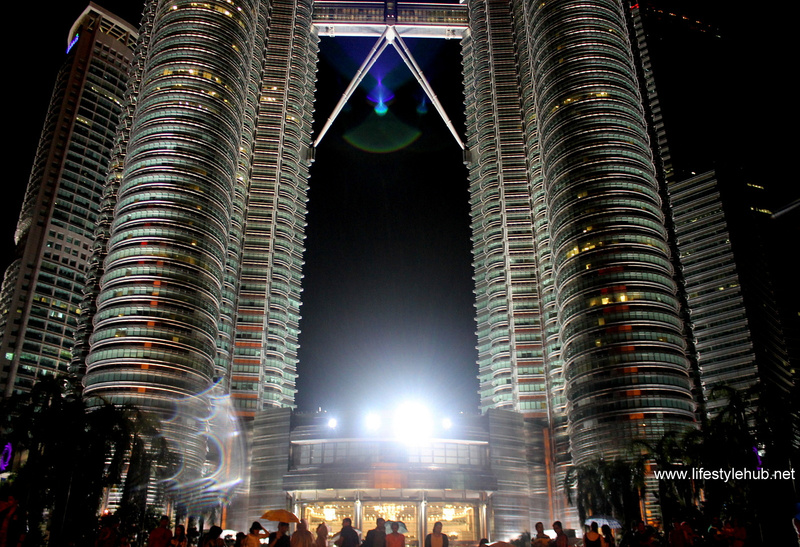 Lastly, try to squeeze in two visits to Petronas in your itinerary. Dedicate 2 hours in the morning and then come back at night so you'll have daytime and nighttime shots.